The default date is today. When the user clicks the field, the application displays a date picker control, but only when you use Opera or Chrome. 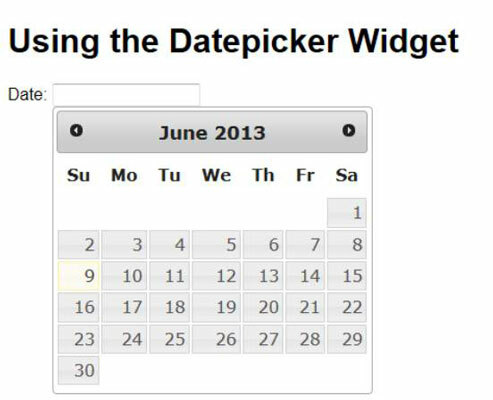 Until the other vendors provide date and time support, it’s still necessary to use the jQuery UI Datepicker widget to ensure that all of your users can enter a date with ease.